The Peter C. Alderman Foundation (PCAF) mission is to heal the emotional wounds of survivors of terrorism and mass violence by training indigenous health workers and establishing trauma treatment systems around the globe. It responds to treatment gaps in post-conflict countries,where mental illness is a significant burden on the population, yet access to mental health care is scarce. PCAF also works to decrease the policy and funding gap in underdeveloped nations, where mental health remains at the bottom of the global health agenda. PCAF’s approach is to establish clinics in public-private partnerships with governments; train indigenous caregivers to deliver evidence-based therapy grounded in human rights principles; supervise and provide continuing education to staff; integrate a rigorous and transparent measurement and evaluation system; and prioritize mental health treatment through public awareness and annual conferences to establish a network of global mental health professionals able to advise policy makers. PCAF operates seven mental health clinics in Cambodia, Uganda and Kenya. It also opened the first mental health Wellness Clinic in Liberia. PCAF works in public-private partnership with the government of each partner country, and each clinic is on the grounds of government hospitals or in other government clinic space. Government contributes the clinic space, drugs, in-patient beds, files and transportation. PCAF provides all staff salaries, training and supervision, as well as all programming and measurement and evaluation. No money changes hands with government. PCAF will transfer the operation of each clinic to the government Ministry of Health, at which time PCAF staff will be hired by the Ministry and mental health activities should be well-integrated into the local primary health care system. PCAF’s approach is to establish clinics in public-private partnerships (PPP) with government, where the government supplies clinic space, in-patient beds, psychotropic drugs and consumables, and PCAF provides the salaries, training and manpower. This is a program that ensures government and stakeholder engagement, and integrates mental health into primary health care, while ensuring a strong community outreach and care component. PCAF utilizes data-driven decision-making to increase patient enrolment and improve treatment adherence through expanded community outreach and specialized group therapy. This is a sustainable mental health care model, integrating mental health into the primary health care system: over time, PCAF will transfer the operation of each clinic to the government Ministry of Health to run. One of the key challenges facing PCAF is getting patients to return to therapy after their initial visits. When PCAF investigated this issue with patients in its Uganda clinics, they reported that stigma of mental illness, competing priorities and lack of social support for treatment, made return visits challenging. It became clear that patients needed to be reached in their village and homes. In response, PCAF expanded its community outreach and social worker home visits and telephone follow-up to make mental health care more accessible in Uganda. PCAF clinic staff conduct twice-monthly visits to health centers, IDP and refugee camps using trained community mobilizers to help identify patients in need of care. It introduced the use of group therapy in identified vulnerable groups, delivering effective care to multiple patients at once and creating a community of support for patients between outreach visits and after the group therapy has ended. These efforts have resulted in fewer patients lost to follow-up, greater patient adherence and many more patients reached. PCAF has received funds to expand and improve its community outreach program to existing and new patients at its four clinics in northern Uganda and to develop and implement specialized group therapy sessions through the outreach program. PCAF is now training community mobilizers to perform psycho-education and basic mental health screenings, referrals and data entry. PCAF also plans to expand community outreach and social worker home visits at its mental health clinics at Siem Reap and Sout Nikum Hospitals in Siem Reap Province, Cambodia. Many individuals suffering from mental ill-health are unable to travel the long distance to the PCAF clinics, due to a host of challenges, including lack of funds, lack of childcare, lack of family support, crippling depression or other illness leaving them unable to leave their homes. PCAF has partnered with the IRC to provide services to war-affected youth in Kitgum northern Uganda, in the Mucwini sub–county where both PCAF and IRC have ongoing programs. These organizations will work together to identify male former abductees who are not coping well with re-integration in the community, re-engage with them and initiate a program of management to address their most pressing psychosocial needs. The young men will work on job readiness within the group, which will then refer them to and support them in the IRC’s livelihoods program. If successful, results from this project could provide a model for the psychosocial intervention among male formerly abducted child soldiers not only in Uganda, but also in the larger Great Lakes Region of Eastern and Central Africa. PCAF measures impact through its monitoring and evaluation system, which shows that its evidence based treatments are effective at improving patient functioning and informs data-driven decision-making to improve programs. PCAF’s Director of Research, Dr. Ethel Nakimuli-Mpungu, created PCAF’s reporting tool and evaluation system to monitor progress towards treatment outcome goals. She created a cross-cultural adaptation of program assessment tools such as the self-reporting questionnaire, the Harvard Trauma Questionnaire, and developed a local functioning assessment tool. She also designs qualitative surveys and adapts all instruments to community outreach settings. PCAF measures longitudinal outcomes for functioning, depression and PTSD. Dr Nakimuli-Mpungu conducts routine training workshops for the PCAF staff responsible for data collection at each clinic. Patient data are reported and analyzed in quarterly reports. PCAF’s public-private partnership with government creates a cost-effective model of providing mental health services. The use of low-cost community mobilizers trained in mental health maximizes impact on the community while keeping staffing costs down. Because of these sustainable practices and government participation, the cost of operating one clinic is $35,000 USD annually. More than 100,000 survivors of terrorism and mass violence have been treated by PCAF-trained personnel or in PCAF clinics. 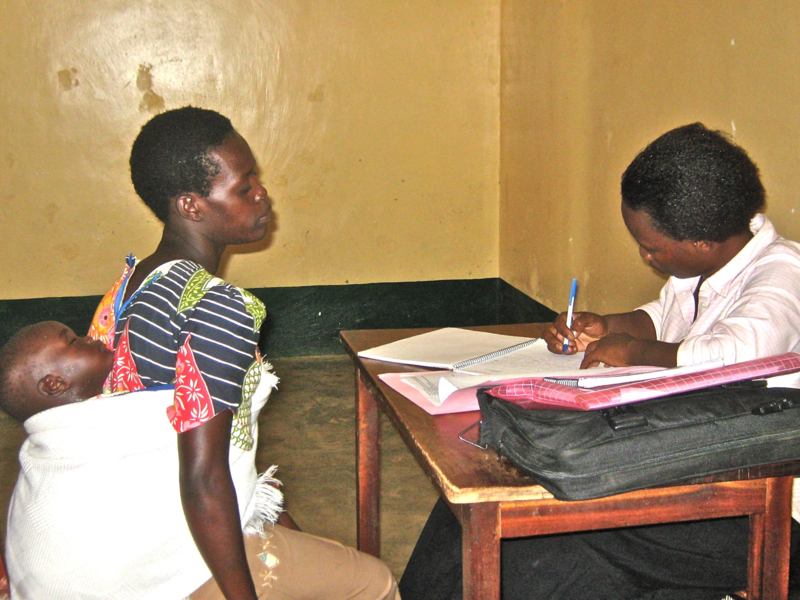 The majority of patients treated in Uganda reported improved functioning, specifically in the areas of self-care, employment, and social activities. As part of the community outreach model, thousands of individuals in Uganda have received psychoeducation aimed at reducing stigma in communities. Mental Health Program based on the principles of Service, Training, Advocacy, and Research.